Is anyone else in love with camo as much as I am? I think we have all seen the best and the worst of camouflage in the history of fashion. 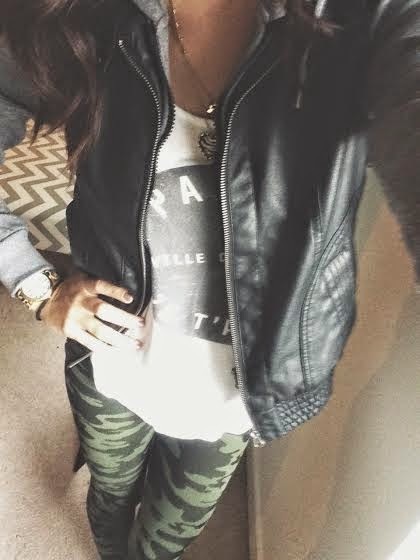 I decided to give the camo look a try when I saw these adorable leggings from the boutique I work at, Veruca Salt. I paired these leggings with a leather jacket sweatshirt. 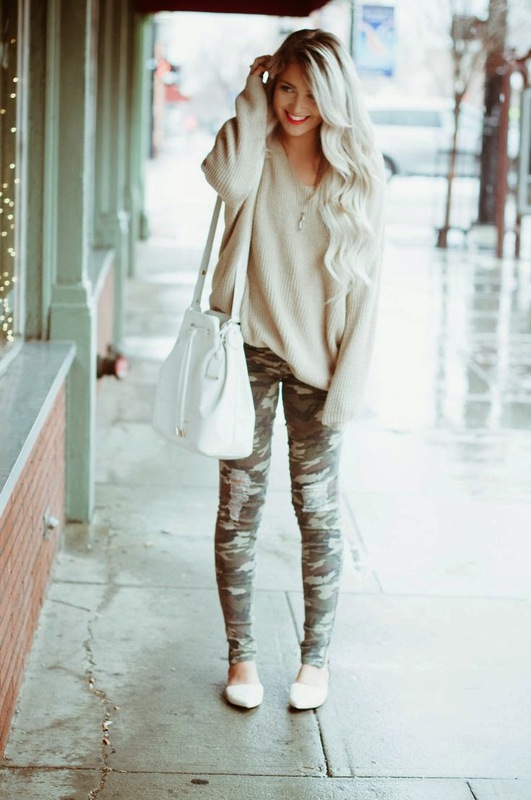 Try to add a little camo to your wardrobe and share your looks, I would love to see!